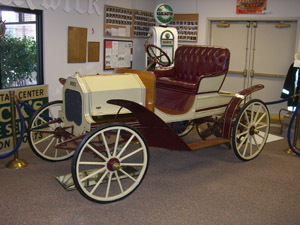 Center Stage at the museum is the 1905 Mier car designed and built by local resident, Sheldon Harkless. Mr. Harkless sold the car’s design rights to the Mier Carriage Co. of Ligonier. The company produced only about 10 cars and this is one of the two known survivors. 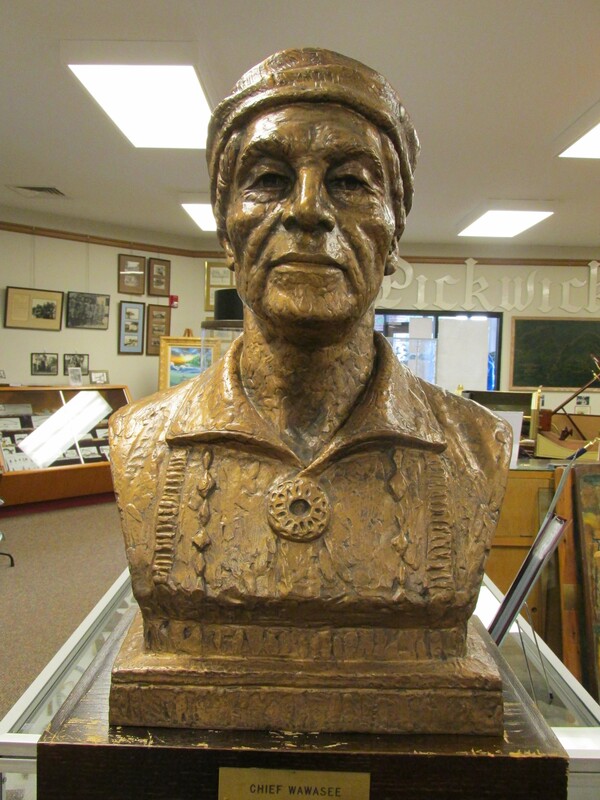 Chief Wawasee – Miami chief, Wau-wa-aus-see, or Wawasee, often contracted into Wawbee. 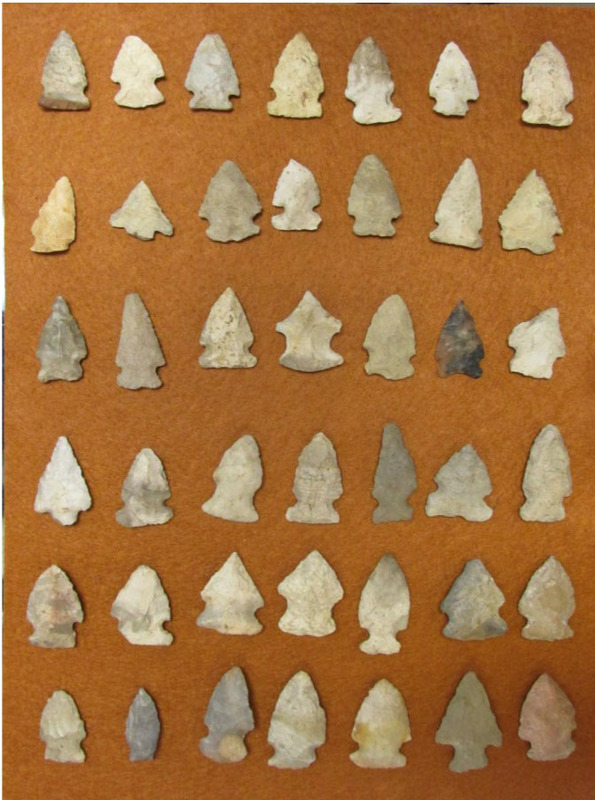 In the mid-1830’s, Wawasee’s village was situated near the southeast corner of Lake Wabee, approximately two and one-half miles southeast of Milford including the eastern shores of Lake Wabee.Chief Wawasee was a minor leader but a brother of Flat-belly. Like his brother, Wawasee was big and strong. This chief dressed up for special occasions by wearing a large silver ring that hung from the cartilage of his nose. He sometimes substituted a fish bone for the ring, according to James W. Armstrong in The History of Leesburg and Plain Township Indiana published by the Leesburg Journal. Many other items are on display, including: a complete collection of class portraits of graduating classes of both Syracuse and Wawasee High Schools; trophies from the schools; an extensive collection of Native American artifacts found in the surrounding area; a mastodon tooth; Military uniforms; a 400 year old grandfather clock; the telephone switchboard from the Spink Hotel; a circa 1890s washing machine; an engine from a tugboat used to push marl loaded barges to the former cement plant on Syracuse Lake; oil paintings (mostly by Ken Harkless) of scenes depicting life as it was years ago in Syracuse; and many photos of local scenes. Most of the Museum’s photos have been preserved in the Syracuse-Wawasee Historical DVD, which can be viewed in the museum and is also available for purchase.